STEP DOWN DESIGN: Accommodates SmartPhones & MP3 cases allowing plugs to be fully seated even when bulky protective cases are used. 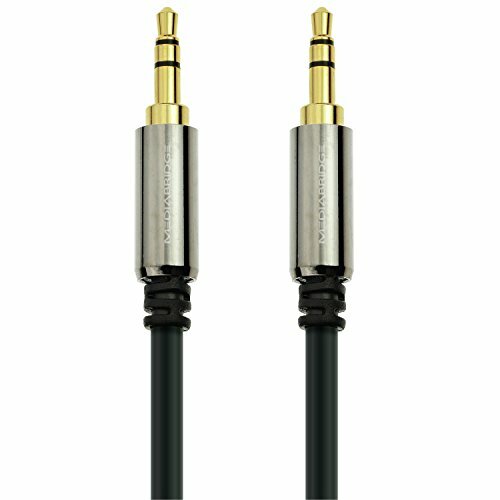 COMPATIBILITY: This 3.5mm (1/8 in) Cable is compatible with any brand MP3 player, phone, tablet, etc. that has a 3.5mm audio jack (aux port). NOT COMPATIBLE with microphone or video function. 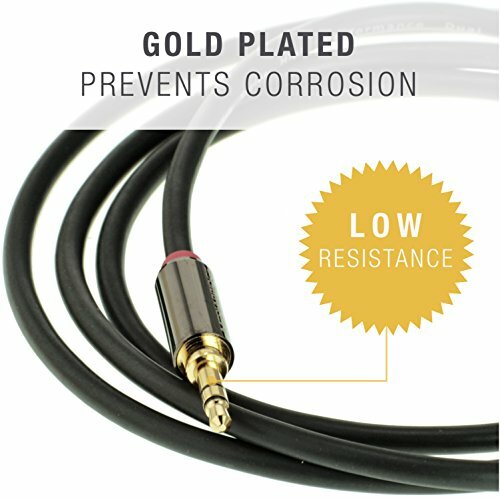 BUILD: Dual Shielded Premium Quality MP3 Cable with High Quality Polished Metal Connectors with Gold Plated 3.5mm audio plugs. Connect & play music from your Smartphone, tablet & MP3 player to a car stereo, portable speaker or other 3.5mm stereo audio output. 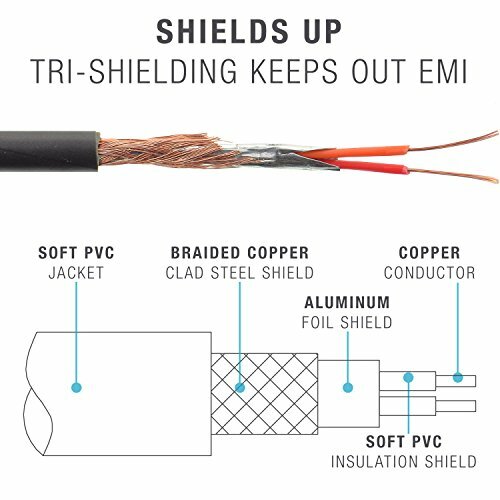 This cable supports devices containing a standard 3.5mm auxiliary jack, which are commonly associated with headphones/ear buds. Many of today’s audio components have this input for easy hookups. 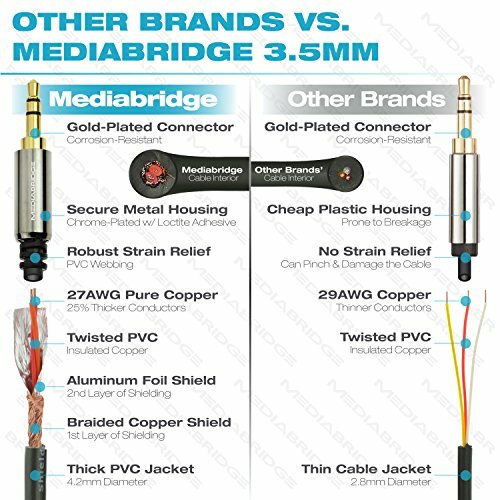 Unlike wireless transmitters & cassette adapters, it provides a direct wired connection that’s free of static/FM interference. 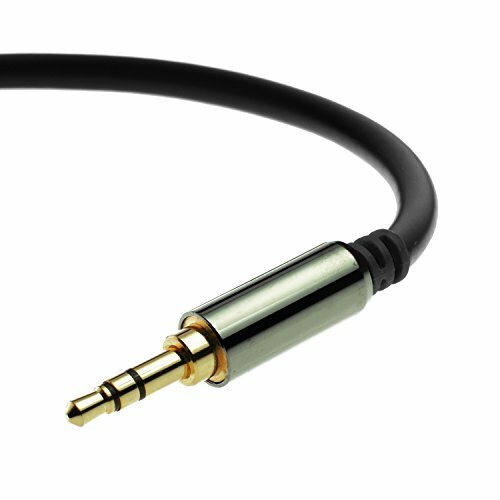 Dual-shielding, polished metal molding & corrosion-resistant gold-plated plugs deliver crisp sounds & minimal signal loss. A compact, beveled step-down design gives a firmly secure connection, even when bulky cases are on your device. You can even charge your devices while in use (separate cable required). You’re just a plug-in away from rocking out to your music, listening to a movie or relaxing to an audio-book. MOST USED FOR: Ideal for connecting iPods, iPhones or Media Players to car stereos or speakers.